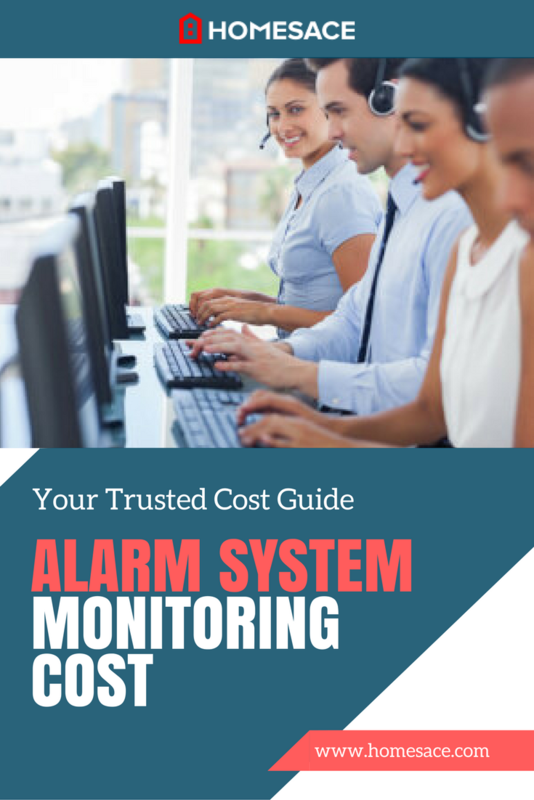 How Much Does Alarm System Monitoring Cost? Take a good look inside your home. Not at the things you have, like clothes, televisions, computers and jewelry. You can replace all those things with a quick trip to your nearest store if they are damaged or stolen. Instead, take a look at your family and pets. You can't replace your loved ones of the two-or-four legged variety if an intruder somehow gets inside your home and harms them. And that's the number one reason why homeowners opt to purchase an alarm and alarm system monitoring subscription for their homes - to ensure the safety of their loved ones from not only intruders but from fires and carbon monoxide too. How Much Does It Cost To Monitor a Home Alarm? You can think of purchasing an alarm system for your home as a two-step process. First, you'll be required to purchase the alarm monitoring system equipment itself. And there is no shortage of reputable companies from which to choose from. You'll pay anywhere from a couple of hundred to the thousands of dollars for your equipment, depending on the level of security and protection you are looking for versus your own personal budget. Don't let equipment cost dissuade you from purchasing a system, however. Even though there can be quite a disparity in equipment cost, today's wireless alarm systems are more affordable and easier to set up than the wired systems of just a few years ago. Having an alarm system in your home can also save you money. Most homeowner insurance policies offer discounts if you have an alarm system, and when it comes time to sell your home, having a functioning alarm system also increases its resale value, putting more money back into your pocket. Purchasing alarm system monitoring equipment is a one-time expense that you will incur when your alarm company's technician comes to your home and installs your equipment. You can expect to incur monthly monitoring costs to keep the equipment operational. Monthly monitoring fees can range from as little as $15 on the low end of the spectrum to as high as $100. The average monthly cost to monitor a home alarm that homeowners across the nation pay is $40, or roughly $500 per year. Where you live will have a direct impact on how much you will pay for the service too. Expect to pay more if the cost of living in your area is high. To get a better idea of how much you will pay for monthly alarm system monitoring, enter your zip code in the space provided. This will allow you a 100% FREE quote from local companies. Remember, the quote is absolutely free and there's no obligation or any contracts attached to receiving your estimate.